When people think about moving vehicle accidents, their minds usually turn first to car crashes. If pushed to think beyond automobiles, people might mention motorcycle or bicycle-involved accidents. The next list of vehicles would probably come from the mass transit category, including buses, trains, and even planes. However, our San Francisco injury lawyer knows that there are many kinds of vehicle accidents that wouldn’t make even the most thought-out lists. One such often-unrecognized but still quite real danger comes from golf cart accidents. The small vehicles have grown more powerful over the years, but operators still tend to take piloting a golf cart much less seriously than an automobile – a dangerous, even fatal, combination. In 2008, the American Journal of Preventative Medicine published what many suggest was the first nationwide study focused on golf cart accidents and injuries (note: readers can access the full-text of the study with registration on the Journal’s website, a discussion of the report that informs this article is available on Newswise). The Center for Injury Research and Policy, a part of The Research Institute at Nationwide Children’s Hospital, conducted the study based on data from hospital emergency departments in the United States across the seventeen year period from 1990 to 2006. During the entire span, the report found an estimated 148,000 golf cart related injuries occurred nationwide. Over the seventeen year span, golf-cart related injuries soared 132%, with approximately 5,770 reported injuries in 1990 growing to an estimated 13,411 injury cases in 2006. What led to the rise and what sort of injuries resulted from the golf cart incidents? Over the years, manufacturers have built golf carts to go faster and to have more powerful engines. At the same time, the vehicles have been used in more contexts, extended well beyond the golf course to include other sporting events, national parks, hospitals, military bases, business parks, and college campuses. 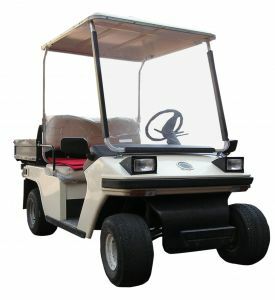 There are also some communities and resort areas where golf carts are the primary mode of transport and cars are limited of even forbidden for most people. The majority of golf cart related injuries, more than seventy percent, occurred at sporting events or other recreational facilities. However, accidents that occurred on a street were more likely to result in concussions and/or hospitalization. Overall, the highest number of injuries involved people who either fell or jumped off a cart. Children under age sixteen accounted for more than thirty percent of reported injuries, with children more likely to fall and suffer a head or neck injury requiring hospitalization. In addition to calculating statistics, the study authors offered thoughts on reducing the number of golf cart related injuries. They recommended that children under age six not travel in carts because the vehicles lack child safety features. On a similar note, they suggested that only those aged sixteen and older be allowed to operate the carts. The study authors recommended a number of behavioral safety measures such as maintaining a reasonable speed, using seat belts, and braking with care. On the equipment side, the study suggested the use of four-wheel brakes and improved passenger restraints. In terms of facility-based safety, the report suggested facilities implement training/safety programs and require all operators possess a valid driver’s license. Additionally, the authors advocated for the use of safe design principles when planning pathways where carts will be travelling. Whether you are injured in a car or on a golf cart, you have rights. Golf cart accidents can stem from faulty equipment, poorly maintained pathways, or the negligence of another operator. If you are hurt in any accident that is not your fault in the San Francisco, Oakland, or Sacramento region, please call. Our Northern California injury law firm is here to help.